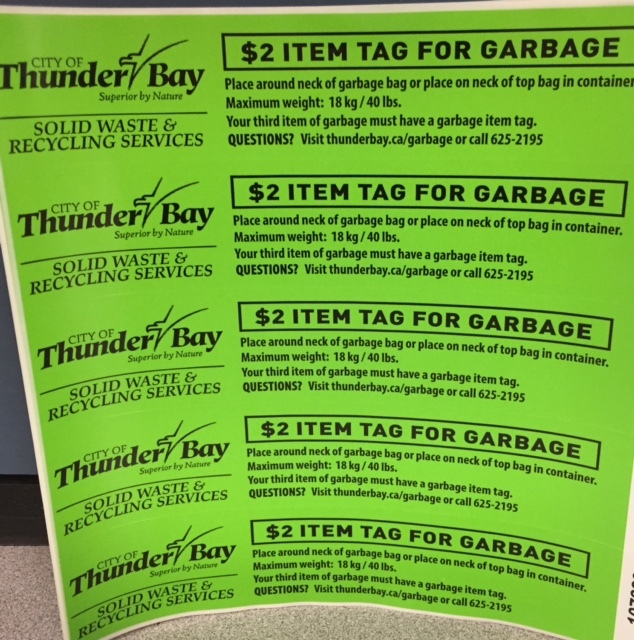 City of Thunder Bay garbage item tags are available for sale at all four Library locations. Tags are sold in sets for 5 for $10. We accept cash, debit, and credit cards. Visit www.thunderbay.ca/garbage for details about the tags. Click through here for Library locations and hours.